HTC has today unveiled what it has been working on behind closed doors for the last 12 months, with the launch of its latest smartphone. With customer feedback an integral part of the development process, combined with an obsessive attention to detail, the HTC 10 delivers everything that you would want from a flagship device. Playing to the Power of 10 – symbolizing greatness and independence but also that the whole is greater than the sum of its parts – this newest addition to the HTC phone family combines a world class camera with gold standard audio, bold new metal unibody design and unparalleled performance. Inspired by light and sculpted to perfection, the HTC 10 employs a new approach to design where bold contours are carved out of solid metal. Capturing the light beautifully, the chamfered edges boast a slimmer, more slender look with its full glass front merging seamlessly into the metal body. Passionate about the small details, it’s not just the materials that come under scrutiny when we create a new handset. With the HTC 10, our design teams worked tirelessly to build a phone where the power button has been beautifully crafted, where the speakers deliver a sleeker look and better sound quality and where the fingerprint sensor recognizes your finger from almost any angle. It is also important that we got the build absolutely right. Mercilessly engineered to handle everyday knocks, bumps and scratches, the HTC 10 was subjected to over 168 hours of extreme temperature tests, ranging from a freezing -20’C to a scorching 60’C, plus over 10,000 drop, bend, scratch and corrosion tests. World-class camera! With HTC 10 we’ve delivered what we believe to be the best smartphone camera available on the market today. With the world’s first optically stabilized, larger aperture f/1.8 lenses on both the front and rear cameras, new larger sensors, 12 million of our new generation UltraPixels (1.55um per pixel), faster laser autofocus powering the main camera and a wide angle lens and screen flash on the front UltraSelfieTM camera, this smartphone delivers brilliantly sharp, low light and high-resolution photos whether behind or in front of the lens. With the camera designed to launch in as little as 0.6 seconds, and a 2nd generation laser autofocus that gives you focused shots faster, it’s quick enough to even work in burst mode. All the settings are also conveniently located at your fingertips with Pro Mode still offering advanced options for more experienced photographers, including RAW format functionality. Boasting a DxOMark score of 88*, this is one of the highest camera quality scores of any smartphone to date and is the result of tens of thousands of hours spent fine tuning each element to deliver world-class photos and videos. But it’s not just the imaging that puts this smartphone at the top of its game – the HTC 10 combines vivid 4K video with the world’s first stereo 24-bit Hi-Res audio recording, capturing 256 times more detail than standard recordings, across twice the frequency range and enabling you to bring to life your recorded content as if you were actually there in person. Built for audiophiles, the HTC 10 is certified for Hi-Res audio and has been designed to make music sound the way that the artist intended. A headphone amp that delivers two times the power of a conventional headphone amp, the ability to upscale from 16-bit to 24-bit audio and high performance digital to analogue conversion combine beautifully to produce ten times lower distortion than other devices on the market, delivering an all round audio performance that cannot be beaten. Everyone hears things differently, which is why the HTC 10’s all-new Personal Audio Profile system enhances your audio experience even further. By creating a unique profile that is tuned to your individual hearing, it dynamically adjusts specific sound frequencies to each ear, allowing you to hear music the way that the artist intended. Re-engineered HTC BoomSound™ Hi-Fi edition speakers feature the same separated tweeter and woofer design as leading acoustic systems and combine with a dedicated amplifier on each speaker, adding to the experience and delivering sound clarity unprecedented on a smartphone. Great audio deserves great earphones so we have made sure that our flagship phone comes with the best Hi-Res audio certified inbox earphones yet. Featuring an 8µm thin aerospace polymer diaphragm and 70% oversized drivers, the listener is treated to richer sound and twice the frequency range, enabling you to enjoy the best audio experience right from the get go. Whilst the HTC 10 nails it on the hardware, we have also delivered what we believe to be best in class software by focusing on getting the fundamentals right. With apps that launch twice as fast and that perform to the highest standard and a next generation quad HD display that is 30% more colourful, creating a true cinematic feel, and that is 50% more responsive to touch than its predecessor, even the smallest and fastest of finger movements track perfectly. This attention to detail doesn’t stop there! With security high on people’s agendas, we have created a fingerprint scanner, which unlocks in a lightening fast 0.2 seconds and which has been algorithmically designed to recognise you faster and more accurately over time. Engineered from the inside out to last longer, the HTC 10 boasts the latest Qualcomm Snapdragon processor with enhanced 4G LTE. Each device also comes with Boost+ which is designed to make your phone faster, to consume less power and to provide effective security and application management features. This includes smart boost, which automatically optimises your memory, a game battery booster, which uses less battery during gameplay, and a new PowerBotics system, which auto detects and shuts down apps that use excessive power, improving battery life by 30% and delivering up to two days charge. Not only does Boost+ optimize performance, making it easier to launch apps, but its App Lock function also adds a new layer of security by enabling you to lock any app you choose, whilst App Manager provides an instant fix for when an app isn’t behaving. The HTC 10 also includes the latest in-box quick charge 3.0 Rapid Charger with improved thermal management, so the battery can be charged by up to 50% in just 30 minutes – ideal for people who find their phone running low on juice before the end of the working day. By reducing the number of duplicative and pre-loaded apps and bloatware, and integrating the best of both HTC and Google, we have created a more streamlined phone that enables you to decide what you want on your handset. With HTC’s specially created new Freestyle Layout, you no longer have an on-screen grid that dictates the layout. Instead you can get creative by dragging icons, stickers and widgets anywhere you like. Layer them, group them, link stickers to apps or get rid of screen icons altogether, the choice is yours. The latest version of HTC Themes also provides you with access to thousands of professional looking themes that each come with their own icons, backgrounds and sounds so you can customize your phone based on your own personal style. To further streamline your experience, the HTC 10 offers an all-new Ice View case with a semi-transparent and highly versatile single front-cover case. So when that next call or message comes in, or when you need to skip a track, or snap that perfect shot, you can do it without even opening your smartphone’s case. It’s simplicity, without sacrificing protection. 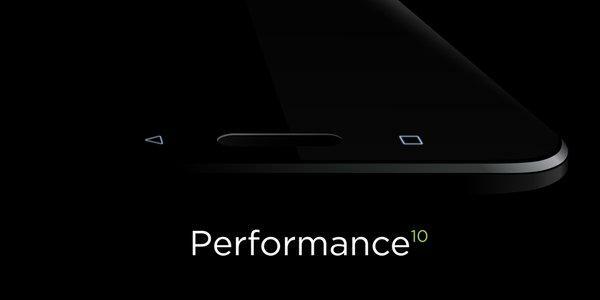 The HTC 10 will come in two variants with different Qualcomm Snapdragon processors to cater for different market needs. They will both offer the same design, audio, camera and display, with a similar software experience and battery life. The HTC 10 will be available from April 2016 in four stunning color combinations: Carbon Grey, Glacier Silver, Topaz Gold and Camellia Red. In the U.K., HTC 10 will be available across multiple operators, who will announce colours, availability and pricing in due course.